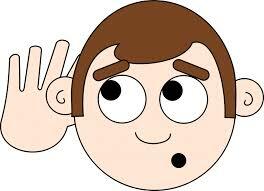 If You’re Not Getting Heard: Why Should Anyone Ever Listen To You? “I get asked this sort of thing all the time. ‘What sort of template should I have for potential investors in my business?’ ‘How do I sell my film?’ ‘What should I do to sell more?’ ‘There is never enough money out there. How do I get it?’ My answer is to the point! You must understand WHY they invest. You need to know what they want! What IS important to them? You already know what is important to YOU. You must LEARN what is important to THEM and why THEY buy. This is the first important step YOU have to take! Then you have to be able to deliver to them in a way THEY understand. You must learnt to speak THEIR language. You already know your language. You must know what the buyer or investor wants, and what is most important to the buyer or investor!! Why they are interested and what is important depends on each investor and not some blanket template. NO savvy investor responds to a cookie cutter presentation. They know if you are interested in THEM or simply trying to get them to buy. You’d better have a good answer because professional investors buy people as much, or more, as they buy investments. They know people. They know money. They are in that business. They are in that business for a reason. Learn why they buy? OR they won’t! Get it? Learn what IS important to them! Who are you? That IS important to them. Do you believe in your product or program or movie? Do you believe in you? Are you honest, reliable, trustworthy? Do you keep your commitments? Are you on time? Savvy investors know people and good deals. You may think your deal is fantastic. Watch SharkTank. While that is a TV show and doesn’t always, or exactly, parallel real life, what is the number one concern the SHARK seem to have most? Can you tell what it is? What is in it for me? WIIFM! Can I make it work? Who is this person? Have they done their homework? Are the proactive? Would I want to invest or partner with this person? What is in it for me? Why should I put my money into this project? What’s the likely return? You come asking. Why should they care? You shouldn’t focus on how you sell them BUT on why they buy, or invest, in people and projects. Then tailor your presentation to the person/s you’re ‘pitching’. Learn to speak their language. Appeal to what they value! Remember, they are reading you all the while. Are you worth it or not? Most likely they made a lot of their decision about you before you opened your mouth? So if that is the case, when you open your mouth, you’d better maximally appeal to them and their needs. Are YOU worth investing in, is a great question to ask yourself? Do you invest in yourself? Do you improve and better yourself? Have you grown in the past day, week, month, and year? How can you help improve other people’s lives? How can you better serve people? You NEVER win a tennis match with the ball in your court. Get it? They want to know you, will take care of them? Is your heart in the right place? Will this person be someone I want to stay partnered with for a long while? Is this person, likable and enjoyable? Would I want this person over for a barbecue? Do they care about me? There are many reasons why people buy. Don’t try to pitch or sell them. No one likes being sold. They prefer buying things from people they like and trust over people they don’t. MAJOR POINT: If you think this applies only to money, or money people, you are woefully mistaken. This applies to influencing all your relationships: family, friends, co-workers, associates, casting directors, and strangers. Learn what is important to them to them. Learn why they buy whatever idea, notion, product you are selling. Whether it is a movie, a house, jewelry, electronics, magazines, cleaning their room, going to a particular school or a nice restaurant? What do they want most? What do THEY need? ‘What’s Stopping You?’ You’ll like my gift to you! ‘What’s Stopping You’ is a life changing 22 minute audio MP3 that helps you go beyond limitations, break through and make positive things happen!Get it! It is Free! Previous PostIf It’s Not The Law Of Attraction What Is It?Next PostOnce They Hear Me How Do I Keep Them Listening? Very wordy but correct. If you want pro investors’ money learn how to play by their rules. Know those rules. Well packaged project is a right approach in that direction. If you want just money from ‘people’ get everybody on an emotional level. Learn how to be a good sociologist. You CAN win a tennis match with the ball in your court if you would call it out. Everyone have a productive week. Cheers. Yes, you can call it out. That isn’t the same thing, nor does it serve the point (pun intended). Thanks for sharing. Be well and of good cheer!